The undergraduate admission test of Dhaka University (DU) affiliated seven colleges for 2018-19 academic year will begin today (November 9).The admission test for science unit will be held on November 9 at 3pm, said a DU press release.In this Unit, a total of 31,804 admission seekers applied against 6,550 seats.The test will be held in 12 centres - Government Titumir College, Government Bangla College, Kabi Nazrul Government College, Government Shaheed Suhrawardy College, Begum Badrunnessa Government Women's College, Dhaka College, Eden Women's College, Udayan High School, Dr. Shahidullah College, HomeEconomics College, Sheikh Borhanuddin Post Graduate College and Lalbagh Government Model School and College.Admission test for the Arts and Social Science Unit will be held on November 10 (Saturday) and commerce unit will be held on November 16 (Friday).Detailed information is available on the website www.7college.du.ac.bd. 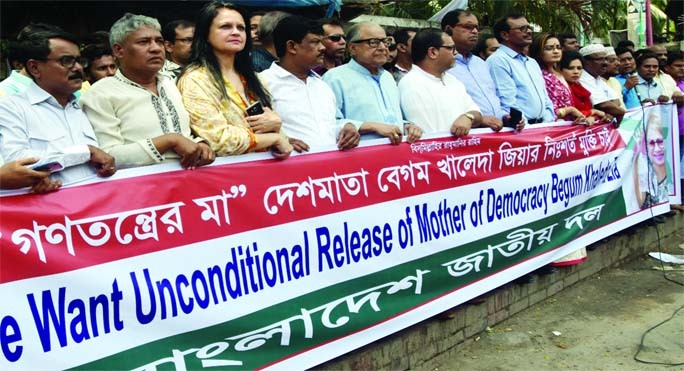 Bangladesh Jatiya Dal formed a human chain in front of the Jatiya Press Club on Saturday demanding early and unconditional release of BNP Chairperson Begum Khaleda Zia. 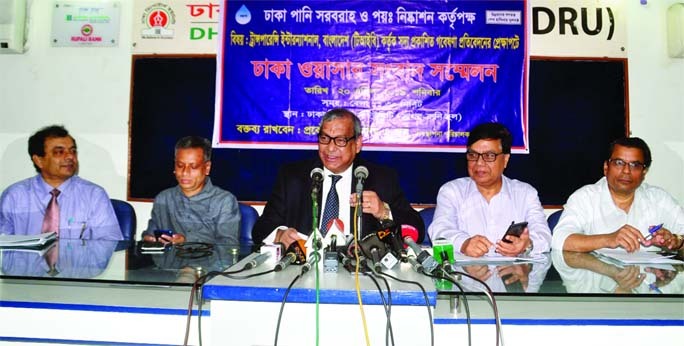 Dhaka WASA MD Engineer Taksim speaking at a press conference on Saturday held at Dhaka Reporters Unity (DRU) on Research Statement published earlier by TIB. 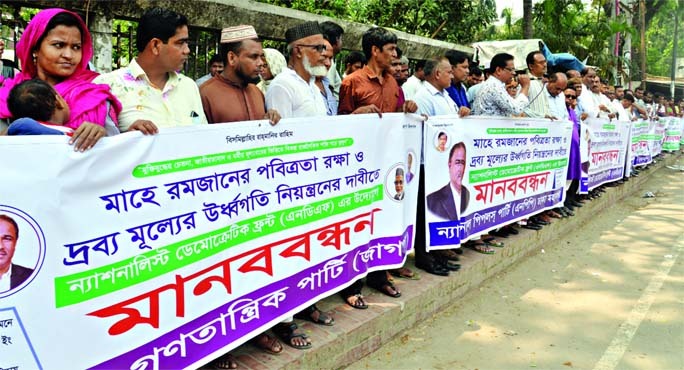 National Democratic Front formed a human chain in front of the Jatiya Press Club on Saturday demanding arrest of price hike of essentials ahead of holy Ramzan. 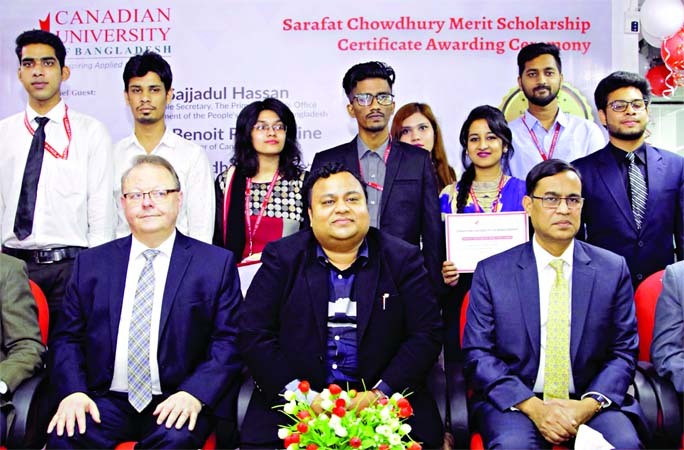 Secretary to the Prime Minister's Office Sajjadul Hassan, High Commissioner of Canada in Bangladesh Benoit PrÃ©fontaine, Chairman of Board of Trustees of CUB Professor Dr Chowdhury Nafeez Sarafat and scholarship awardees pose for a photo after Sarafat Chowdhury Merit Scholarship award ceremony at Canadian University of Bangladesh (CUB) on Saturday. Home Minister Asaduzzaman Khan Kamal, as chief guest and Chairperson of UCEP Bangladesh Parvin Mahmud, Executive Director of UCEP Bangladesh Tahsina Ahmed, Regional Manager of UCEP Bangladesh M Rizwan Khan, President of Ramna-Hatirjheel Thana Awami League Mokhlesur Rahman, Councilor of Ward No-36 Engineer Taimur Reza Khokon were present at the prize-giving ceremony of the Annual Sports Competition of UCEP Tweeta Boatfield School at Modhubagh Ground in the city's Moghbazar on Saturday. 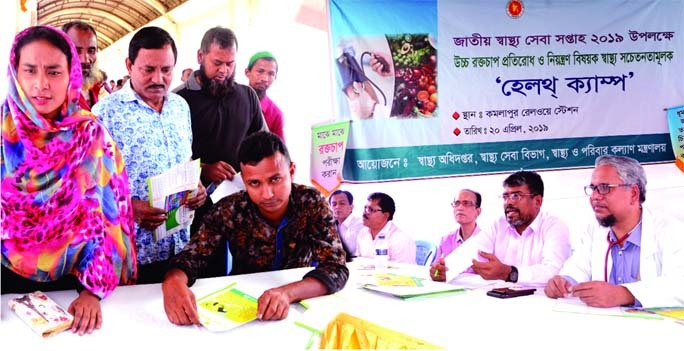 Head Mistress of UCEP Tweeta Boatfield School Kazi Afroza Begum presided over the prize-giving ceremony.